In the dystopian science fiction novel Mechalarum, sciencers toil in a last-ditch effort to defeat the offworld Losh, who have rained death from the skies for twenty years. They work to build and perfect Mechalarum flying suits for fearless pilots to infiltrate and destroy the Losh airships from within. The most skilled of these pilots, Kiellen Corr, never wavers in her dedication to the cause until she is blindsided with betrayal after a fateful discovery. With her faithful sciencer friend Gage Turman by her side, she must fight to understand the true nature of the Mechalarum suits, the Losh, and herself. 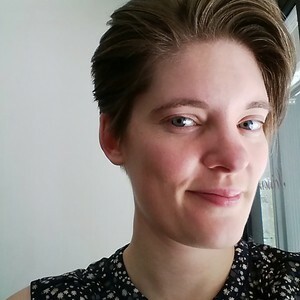 Emma Larkins is a science fiction author and card game designer who loves puns. Her influences include Tamora Pierce, Piers Anthony, Douglas Adams, J.R.R. Tolkien and C.S. Lewis. She writes accessible scifi that teases the edges of your imagination without making you feel like your brain has gone through a blender. Her characters face the world with wry humor, even as it comes crashing down around them. Her stories are filled with action and adventure. After all, what’s the point of a tall tale if it doesn’t make your heart race? 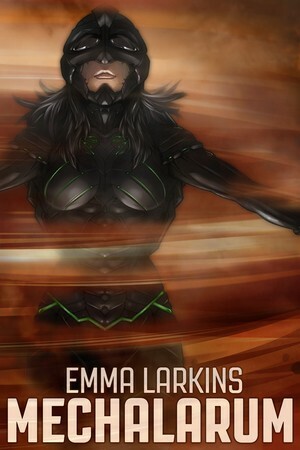 Stop by her Twitter https://twitter.com/emmalarkins or blog http://www.emmalarkins.com/blog/ to learn more, or just say hi! The Mechalarum ebook will be available for free November 21 through 25 on Amazon. http://amzn.com/B00NE4ABMQ. We’ll also be raffling five signed paperback copies of the book. Enter the raffle by signing up on the list http://www.mechalarum.com/free-ebook/ – no purchase necessary. Emma Larkins is going on a book tour! Join her as she shares stories and thoughts on sites including It’s Not All Gravy, The Creative Writing Guild, Alex Shvartsman’s Speculative Fiction Blog, and more. Click here http://www.mechalarum.com/tour-2015/ for a complete list of tour stops.